We went fishing one day when we were in Nome, Alaska last month. I decided to meander down the beach since it was a gorgeous day. I was rocking out with my ipod and quite enjoying myself. 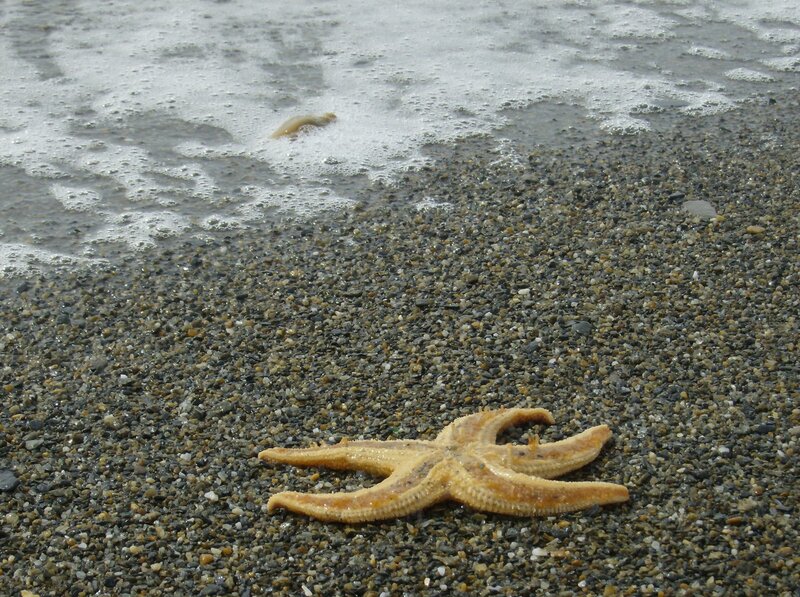 I looked down and saw a starfish washed up on the beach. He was moving a lot so I got a stick and tried to get him back in the water. I threw him back in and noticed there were a ton of other starfish washed up too. I can’t save them all. No matter how hard I tried, I can’t save all these starfish from washing up and dying on the shores of the Bering Sea. And I had to be okay with that. It’s the same in ministry. There is so much pain, heartache & brokenness. I want to single-handedly save every child, teen, young adult and adult that I can. I want them to experience the unchanging, indescribable and quiet peace that God brings. I want their worries to melt away as they place things in God’s care. I want them to face hard issues in life and have the confidence that God is with them and will heal the situation. But I can’t save them all. God does the saving. I just love whoever is in front of me the best that I can. I hope I point them to God as best I can. Clarity of purpose is great isn’t it? Love God & love others. That’s it.